What is Headphone Impedance? | IMPORTANT DISTINCTIONS!! This is part 1 in a series on Headphones and Their Drivers. Don’t hesitate to share and comment if you found these helpful! What is Headphone Impedance? That’s quite a fully loaded question actually, but a good one nonetheless. Before we get into it, grab a snack, sit back and relax because..
Make sure to pin this Infographic if it helped you, and/or you think it would help someone else! a) don’t know what it is. c) know they won’t need one. While most lower budget cans don’t require an amp and don’t benefit from one, there are a few exceptions. The AKG K240’s are a prime example. At 55 Ohms and 91dB of Sensitivity, they absolutely require an amp to sound loud enough. What is Sensitivity in Headphones? They don’t sound that great plugged into a phone or laptop, but once you pair them with an amp that provides enough power, boy howdy do they sound amazing. The mid-range especially opens up and you realize why they’ve been a studio standard for so long. Check out my AKG K240 Studio Headphones Review! But what is headphone impedance exactly? The definition is as follows: The combined resistance and reactivity the headphones present to the amp as an electrical load. Wow, that sounds like a bunch of hogwash to the average enthusiast. Or maybe it doesn’t. Lol. It’s basically a measure of how much your earphones or headphones resist an electric current (or more specifically, a change in current). Low Impedance = between 16 and 32 ohm. This range works well with portable music players, phones, and other similar devices with weaker built in amplification. Low impedance headphones are more prone to blowouts when using a powerful amp, but can still sometimes benefit from one. High Impedance = Over 100 Ohm. These require more power (or voltage) to achieve higher audio levels. They are both protected from the damage that occurs with blowouts, and can be used with an array of audio equipment. Gray Area = 32 – 100 Ohm. Headphones in the gray area may or may not benefit from an amp. It just depends. If you have a headphone with an Impedance rating in this area, take a look at the Sensitivity to get a better idea about it’s power requirements. An AKG K240 is a great example at 91dB. With that, let’s talk about Sensitivity! Also important to consider is the dreaded term Sensitivity. This is one of the most misunderstood concepts in the audiophile world, but fortunately for you I’m here to clear up all the confusion. Sensitivity is simply a number that companies provide to describe how efficient the headphone is at using the power it receives. That’s it! So if you have a headphone with a number above 100dB, it’s going to be more efficient. It won’t require as much power from the amp to reach peak loudness (around 110dB is the standard). If you have a headphone with a number around 97dB and lower, it’s going to be less efficient. It will require more power from the amp to reach peak loudness. In many ways, a headphones Sensitivity rating is a lot more important in determining if you need an amp. While most people look at the Impedance, I’d rather check it’s Sensitivity and how efficient it is. Learn more: What is Sensitivity in Headphones? Portable devices. Use the line output when available to hook up to an amp. In ear headphones or earphones. Good efficiency. Rarely needs an amp in most cases. Noise cancelling headphones. Do not need an amp because there’s a built in one already. Related: How Do Noise Cancelling Headphones Work? An amp with a DAC (Digital to Analog Converter) will improve your listening experience because there is better digital to analog conversion and processing power. More on that in a sec! In layman’s terms, a DAC is a Digital to Analog Converter. It converts the 1’s and 0’s from your computer (the digital realm) into the analog sound that you hear, and vice versa. In recording, you scream curse words (analog/your voice) into the microphone, and your computer makes sense out of it digitally for you to edit and EQ later. 😛 Learn more about this mind blowing process: Bit Depth vs. Sample Rate. There’s also an internal DAC in your phone, mobile device, and pretty much anything that outputs sound. Your PC has an internal Soundcard that functions in the same way. Related: What is a Soundcard? Make lots of unnecessary noise/crackling, etc. For instance, my laptops internal Soundcard does not output at a listenable level. For me to achieve the loudness that I’m looking for, some sort of upgrade is required. 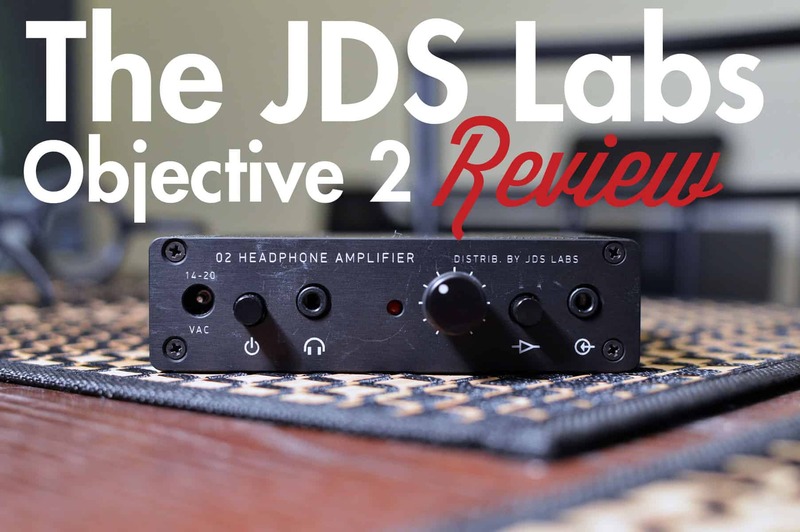 My current favorite desktop solution for that is the JDS Labs Objective 2. 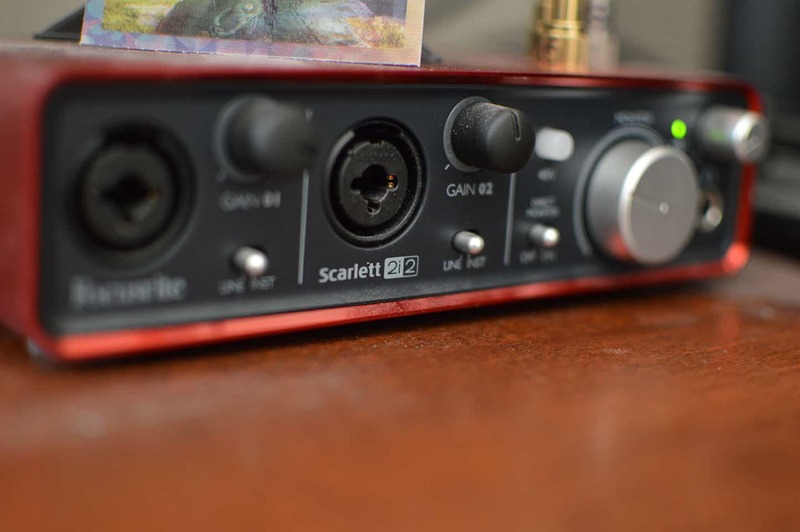 You can purchase this as a combo Amp/DAC or simply buy the amp and pair it with a separate DAC. The reason higher impedance headphones have better sound quality is because they allow for more turns of wire to be used in the coil of the driver. What is a headphone driver? This results in a better motor system with fewer compromises, leading to a better overall sound. Higher impedance headphones also require less current, reducing distortion. Because of this, they are also immune to output impedance differences between sources. But what exactly is current and voltage? As an example, a headphone like the 300 Ohm HD600 requires 20mW of power to perform optimally. The Schiit Magni 2 provides 260mW of power into 300 Ohms. You can see why it’s such a valuable piece of equipment. It can effectively power nearly any headphone, and in reality provides much more than is needed in most cases. The takeaway here is to simply make sure the power output of the Amp in question is sufficient for the headphones Impedance. So the Magni 3 actually provides even more power than the 2. Awesome! (I still have the 2). The Objective 2 is similar. Let’s take a look. Max Output (600 Ohms): 88 mW. I think you get the idea. An amp’s spec sheet is one of the best tools at your disposal. If a company doesn’t share this info, I’d probably not even consider purchasing the amp. Fortunately most do! This is the impedance of the actual source you’re using, which can be difficult to find sometimes. A perfect source = an output impedance of 0. This means it will always deliver the same output into any load (headphone). This is probably the most important thing to remember. The closer to zero the number is, the better. A number in this range basically means that the Amp will be as consistent as possible with the most amount of headphones. You could theoretically buy one of the amps mentioned above from Schiit or JDS Labs and be set for life. Unfortunately if you’re an audiophile type person like me, you’ll want to explore as many options as possible. It really is a curse. 😛 This is because some amps do pair better with certain headphones, and vice versa. It really does become a hobby after awhile. If the output impedance is not 0, the voltage produced by the source will be reduced when a load (headphones) is connected, in effect diminishing the quality of the sound. So in a nutshell, the higher the output impedance, the greater the drop in voltage at the load. Basically, output impedance is one of the most common reasons that certain headphones can sound different when plugged into different amps. What is Output Impedance? Determine if your headphones will work with the Amp in question! Most headphones work best when the output impedance is less than 1/8th of the input impedance. Sennheiser HD600 @ 300 Ohms. So the output impedance of your amp/DAC should not be greater than 37.5 ohms when driving the 600’s. A popular option for the HD600 is the Schiit Magni/Modi combo. The Magni has an output impedance of less than 0.1 Ohm. This is the reason that it’s such a versatile amp. Remember what we said about a perfect source? As close to zero as possible. How to choose a headphone amp! The drop in voltage will be greater with lower impedance loads (headphones). This drop can be big enough to make driving low impedance headphones difficult. The greater the output impedance, the more likely there will be a discrepancy in the way your headphones receive the sound. This can manifest erratically depending on the headphone. The greater the output impedance, the more likely the bass response will be affected in a negative way. For instance if the bass frequency was meant to sound tight and controlled with impact, it may actually sound muddy and/or boomy (less controlled). The bass will start to “roll off” at sooner at lower frequencies, compromising your listening experience. Behringer UCA202. 50 Ohm output impedance. Struggles with 16-32 Ohm headphones. It’s rather important to take these things into consideration; especially the power output of the amp in question and the 1/8th rule. Why? Because if the output impedance is greater than an 1/8th of the headphone impedance, there will be undesirable variations in frequency response. The point is this: Just be aware of what you’re buying as far as amps are concerned. I didn’t buy the 2i2 to amplify the M50’s. I bought it to power my studio monitors. What are studio monitors? Regardless, using the 1/8th rule will greatly aid you on your quest. My top option for a headphone around the threshold of 97dB and a higher Impedance (300 Ohm) is of course my beloved HD600. Interested in learning more about one of my favorite audiophile cans? My top option for a higher Sensitivity headphone and lower Impedance model that doesn’t need a lot of power is most certainly the Sony MDR V6 @ 106dB and 63 Ohm. It’s been a quintessential studio headphone for decades, and I don’t see it leaving my studio anytime soon! LEARN MORE IN MY SONY MDR V6 REVIEW!! Well that’s about it for today my friend! I hope I answered the question of, what is headphone impedance? Did I provide enough information? Are you confused? Enlightened? Appreciative? Let me know! If you have any other questions, or felt that I left something out, please Contact me! I very much look forward to speaking with you.